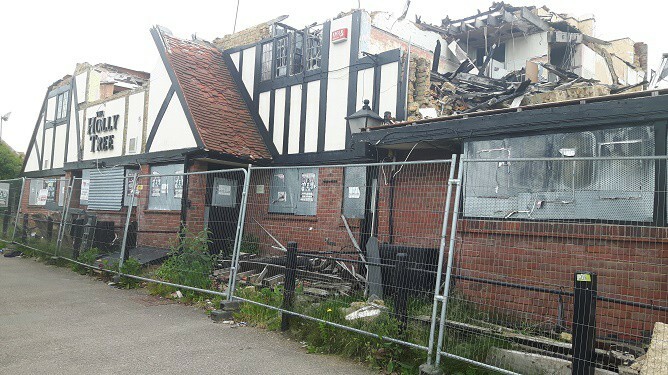 Thanet council has refused permission for plans to build 41 flats, three houses and a micro pub at the site of the former Holly Tree pub. 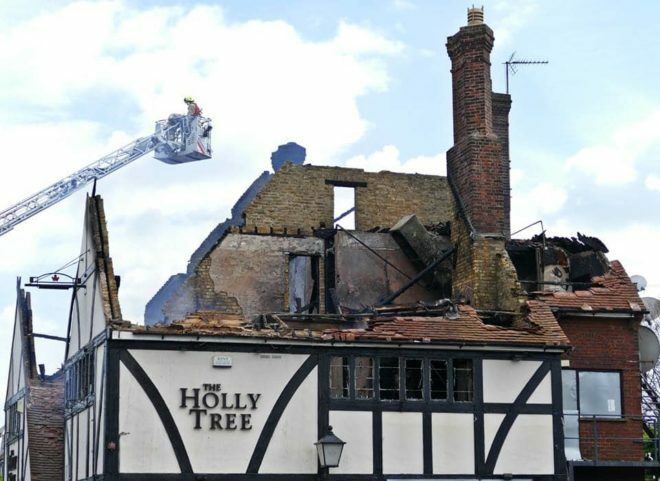 A blaze that ripped through the property in 2017. Some 163 letters of objection were received in response to proposals to redevelop the site. Kentish Projects adapted original proposals from a 5 storey building to a three storey block with a recessed/cut back fourth storey to reduce density and height. 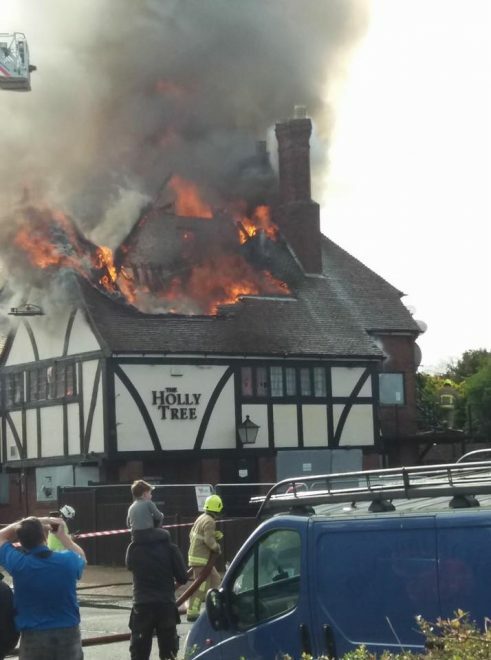 The plan was for the micro-pub to be on the Holly Lane/Northdown Road corner of the project and to have four of the homes as wheelchair-convertible. Eighteen parking spaces would be provided. 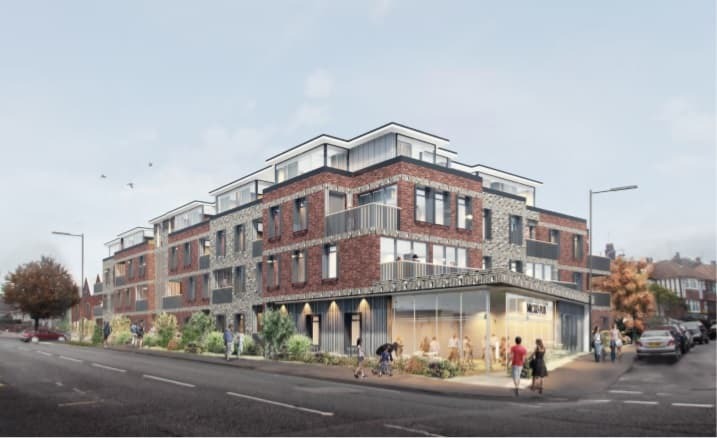 Objections were raised about lack of parking, over-development of the site and the building being too large and ‘not being in character’ for the area. Concerns were raised over antisocial behaviour linked to the micropub and obstructed views for drivers pulling onto Northdown Road. The proposals were submitted to Thanet council in last January. They included suggested developer contributions of 30% affordable housing, £1,824.76 towards the additional bookstock for Cliftonville library, £ 11, 728 towards the Special Protection Area and£28,872 towards the extension of The Limes Surgery, Margate. However, they then add: “Concerns are, however, raised as to the impact of the proposed scheme in terms of its design, height and scale of the part 3 part 4 storey building on the character and appearance of the surrounding area. Thanet council rejected the scheme on January 11. Independent councillor Gary Taylor said he hoped something more appropriate would now be drawn up. 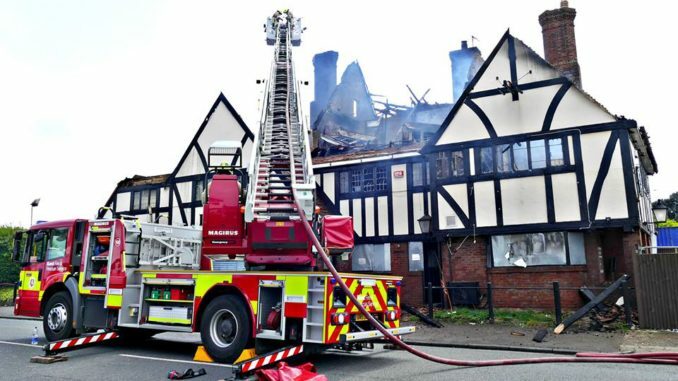 Nah, much better to leave it derelict & let somebody set fire to it again like they did with the Dane Valley Arms. Concerns raised over antisocial behaviour linked to the micropub – get a grip! A dozen real-ale drinkers in a small room isn’t exactly Wetherspoons is it! 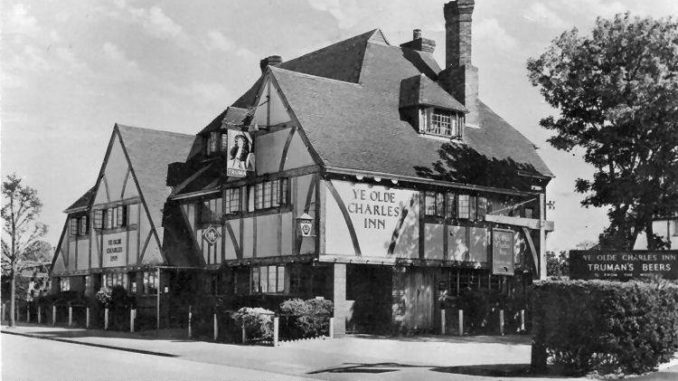 And it was a pub for 90 years before that also! How about building a block of flats suitable for the elderly? To be sold only to those over 55 years-old. Wheelchair access and lifts.Taking the corner off to allow better visibility on the junction. As a young OAP myself, I am aware that, at some time, my wife and I may well opt to sell our modest suburban semi-detached and move into a flat nearby. IF there was one!! Surely, by building the kind of properties that older residents would want, we could then free-up larger houses for younger people with families. I wouldn’t mind a micro-pub either, being a grey-haired old Real-ale drinker, myself. I promise not to cause trouble except for Brexit voters. Over development in thanet is rife, unscrupulous developers making the most money out of the smallest plots of land ( this one being 0.3 hectare). Well built family houses is what’s needed in the thanet area if statistics are to be believed, but that would not make enough profit for these companies. Try building a block of flats on your own front door where the occupants could see straight in your house from their windows/ balconies. The area is predominantly bungalows and two story houses, and the residents bought these properties because of this fact, and the fact that it is a low density area. The proposed building is an eyesore and in no way in keeping with surrounding properties. The area is not suitable for large scale flats like those that were planned. Trying to fit 40 odd flats and a few houses into that small space with just 15 car parking spaces was sardines. A pub was there and it failed as no customers anymore. Low density homes with gardens, well built to fit in with the surroundings are what should go there. The demolition has started now with workers on site today.